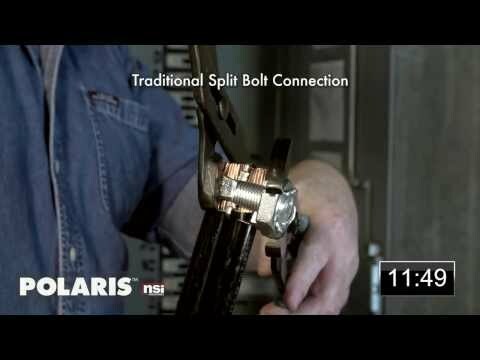 NSI Polaris™ IPLD Series Insulated 6-Port multi-tap connector is perfect for wire termination. Connector of hex size 5/16-Inch, has double sided cable entry. It accommodates six 350-MCM - 6-AWG copper/aluminum conductors. 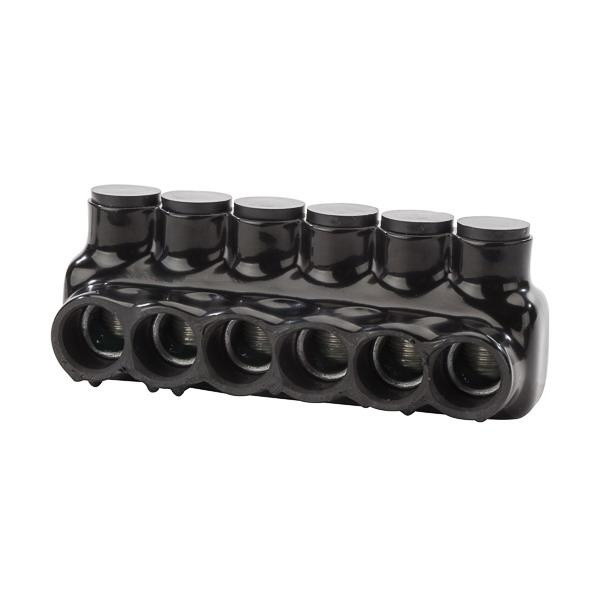 Connector in black color, has high-dielectric strength plastisol insulation. It withstands voltage rating of 600-Volts. Connector measures 6.67-Inch x 2.41-Inch x 2.610-Inch. It has installation torque of 400-Inch-lb. Wire entry ports on both sides of the connector allow for easy access from either side. Connector is UL/cULus listed.